Where did you find the time? the time was always there. You just recognized and became aware of what it took to make it to the fare. Don’t fret or jet just get ready, get set, go. 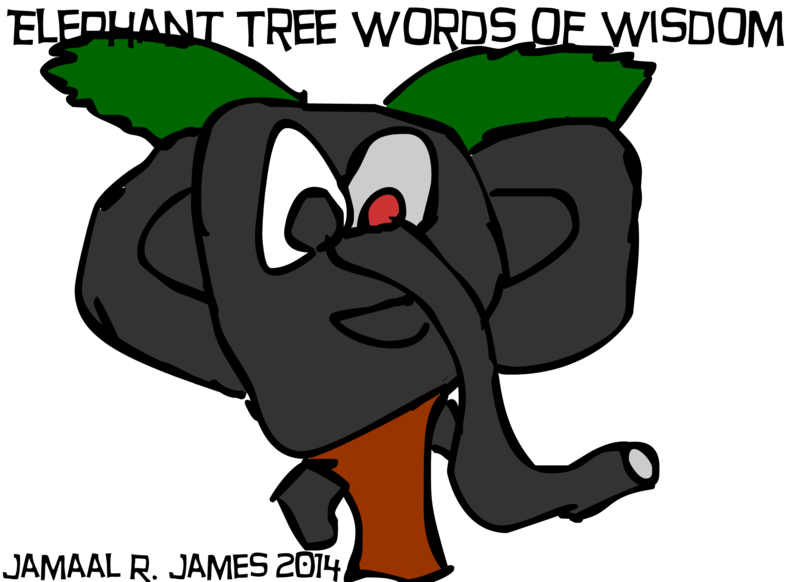 Elephant tree comic strip was created by Jamaal R. James on timeilaugh.com for James Creative Arts And Entertainment Company. Zeeing the zee, doesn’t mean you wont zee the zee. The zee is so powerful you wont know you saw the zee. But the zee is in all of you and me. In this posting we get a glimpse into where Kittycatchasuki has been hiding out or where she currently is? Which is where? Not even I know where she is. Winjoy. In this posting Lemron convinces a person to give him their new phone for a lollipop. Enjoy. Doing the work is the not the same as thinking about doing the work. The work wont be don’t unless you do, waiting for the next man or person to do wont do. You either do or you don’t but don’t just let hope float, do and do, plus do. In this posting our little plant wants to become a double headed plant. 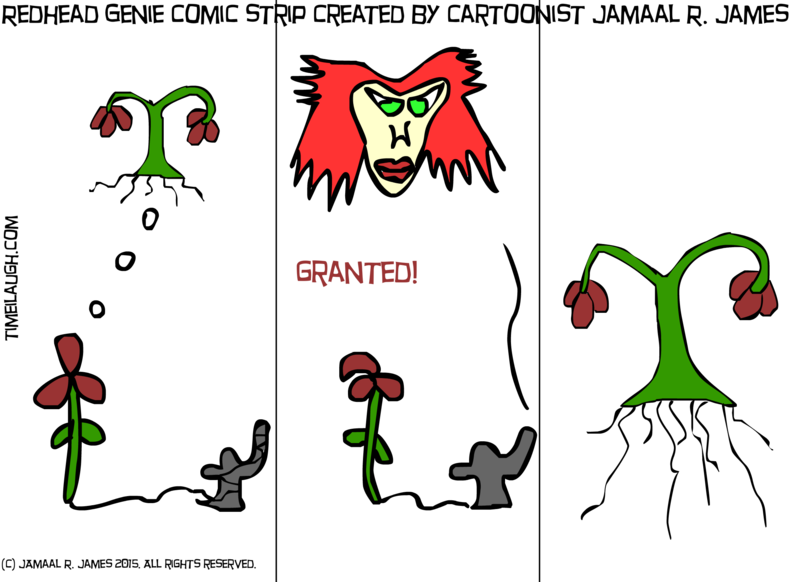 Redhead genie comic strip created by jamaal r james for james creative arts and entertainment company.